From 5kW for your lower-duty vehicles to 30kW for the workhorses of your operation - we have the power range you need. Let us help you choose the solution that best fits your needs. Whether you’re considering converting your material handling fleet to electric, or looking to optimize your existing fleet, we have a solution for you. Please fill out the form and we’ll get back to you shortly. 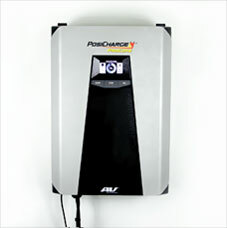 The Most Efficient Chargers for Your Forklift Fleet. Is your lift truck fleet the hard-working backbone of your operation? Then you know that keeping them running properly is mission critical. 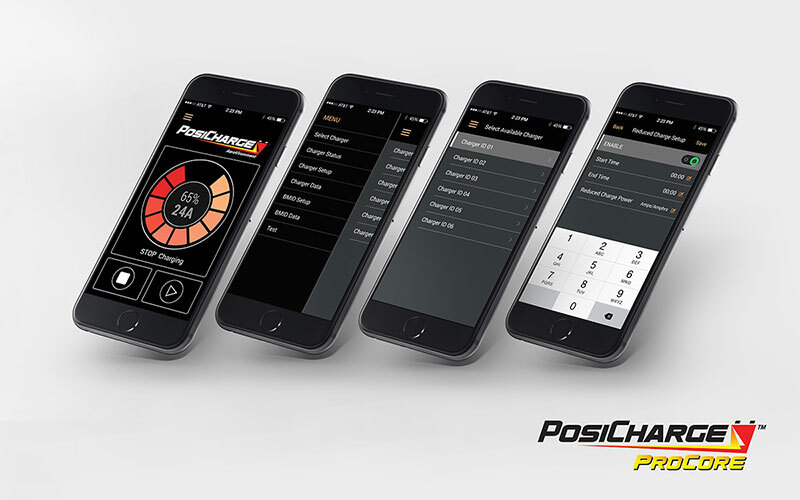 The PosiCharge ProCoreTM Series is a premium intelligent charging family that supports and charges any forklift battery - regardless of type, brand, chemistry, voltage or size. From 5kW for your lower-duty vehicles to 30kW for the workhorses of your operation - we have the power range you need. 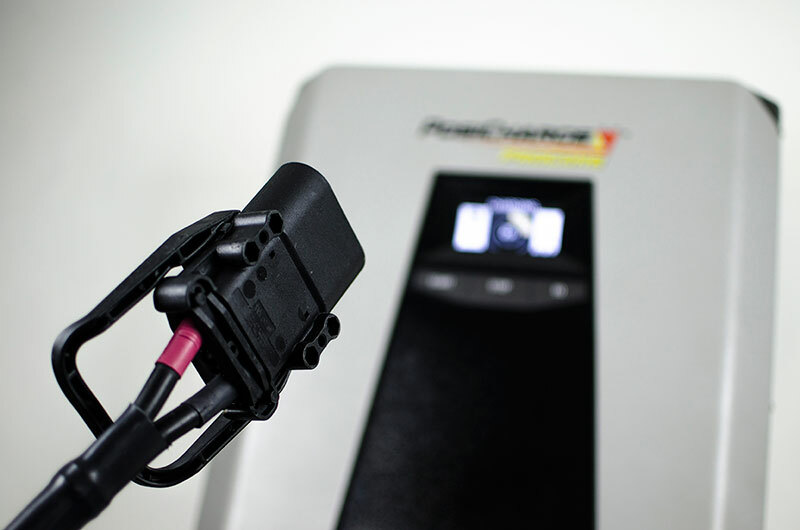 Procore’s high frequency powerstage technology makes for a lighter, more efficient charger – that takes up less floor space and has all the power you’ll ever need. 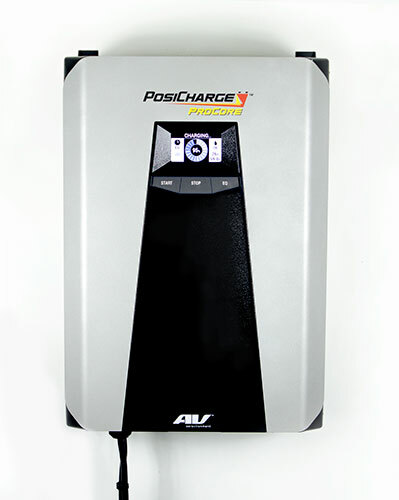 And ProCore’s colorful, digital display makes it easy to read and understand your charger operations. 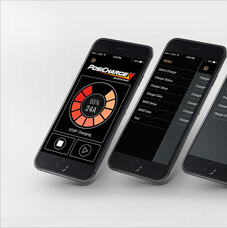 Our convenient mobile app means that you can easily program your ProCore chargers without messing around with bulky laptops or data cables. 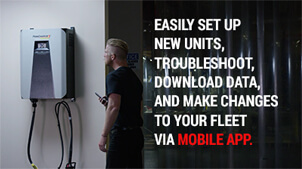 Set up new units, program, troubleshoot, make changes to your fleet – and more – all from your iOS or Android smartphone. Compatible with iPhone 4S or newer, iPod 5th Gen or later, iPad 2nd Gen or later, or Android device 4.3 or later. With ProCore, you’ve got options. ProCore’s modular powerstages bring the ultimate in flexibility to your operation. 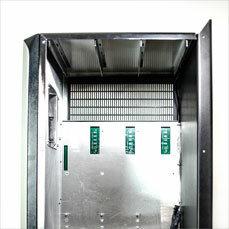 A robust, single port architecture makes it highly customizable. 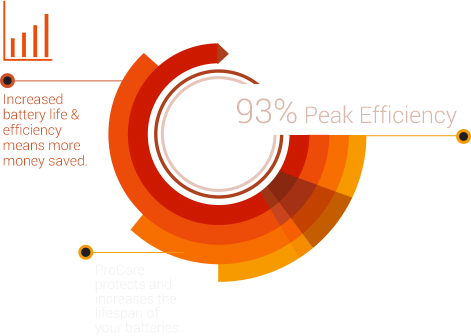 Operational flexibility drastically reduces mean time to repair – so you can get back to business. Have a mixed fleet or a large operation with different types of forklifts? 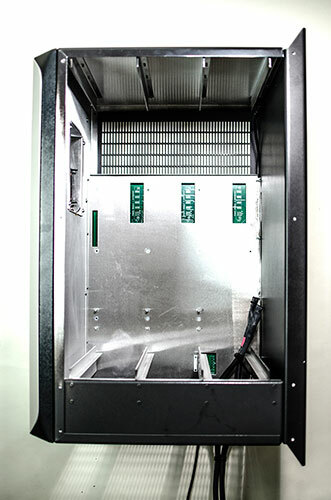 ProCore’s multivoltage capabilities are here to give you choices – and simplify your life. It doesn’t matter what type of battery you have - different forklifts with different batteries can charge on the same charger. Lower Cost. Amp Up ROI. It’s simple: prolonging battery life means saving money. ProCore protects your battery investments – and increases lifespan by enabling the battery and charger to ‘speak’ to each other. Energy saved is money saved. 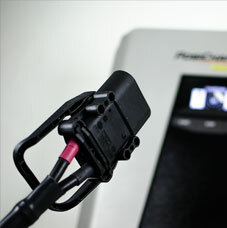 ProCore’s innovative safety feature, the patent-pending connector health monitor Connect Rx detects potential issues to protect your valuable assets. 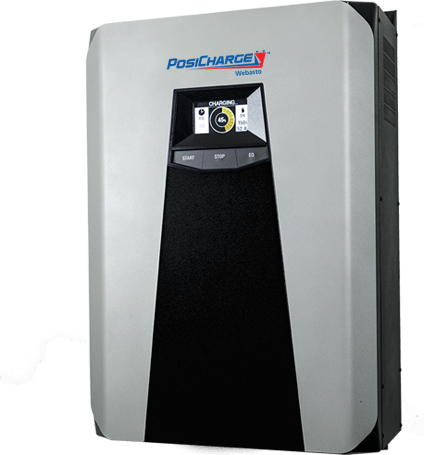 93% peak efficiency and low overcharge factor make ProCore the most efficient charger available with the lowest monthly utility costs. It’s also programmable. You can run ProCore in blockout or power limit mode - and operate chargers at reduced (or zero) power levels to manage peak utility demand. 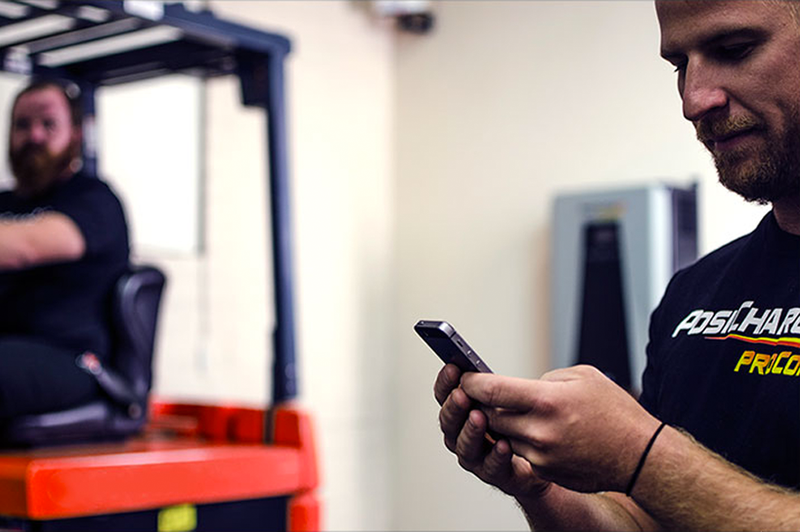 Let us help you reduce operating cost and maximize productivity for your forklift fleet. Our unique tools & assessment will help you to determine the best approach to convert to an electric fleet (LP Meter) or to optimize your already existing fleet (E Meter).